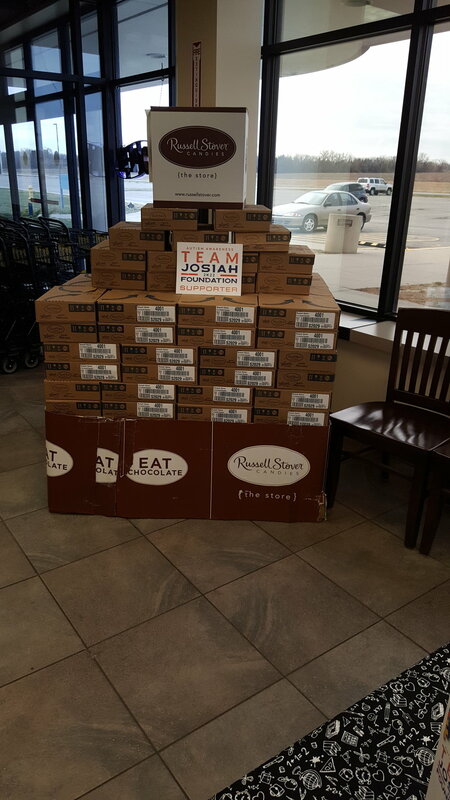 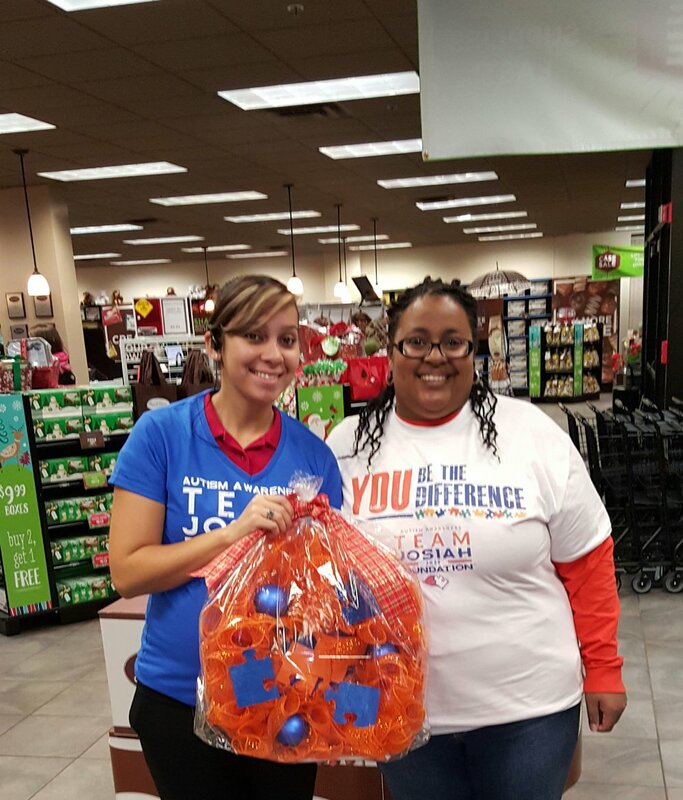 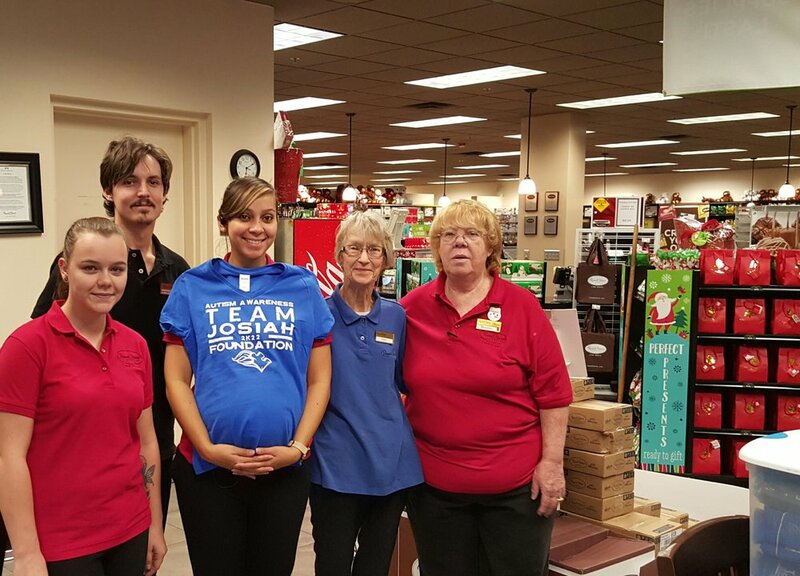 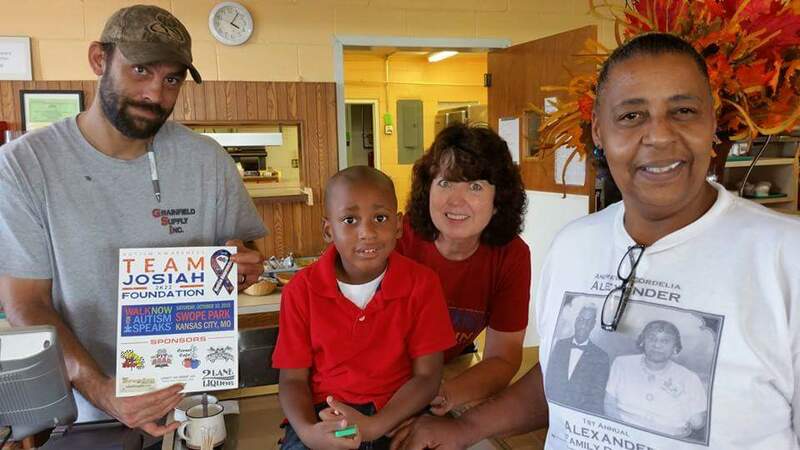 On December 10, 2016 Russell Stover of Abilene, Kansas, teamed up with Team Josiah to spread Autism Awareness by fundraising with the help of chocolate. 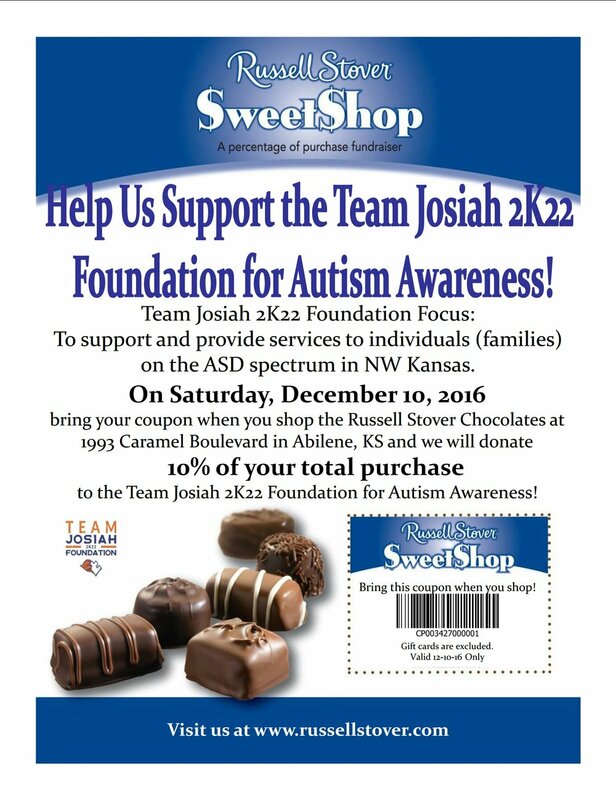 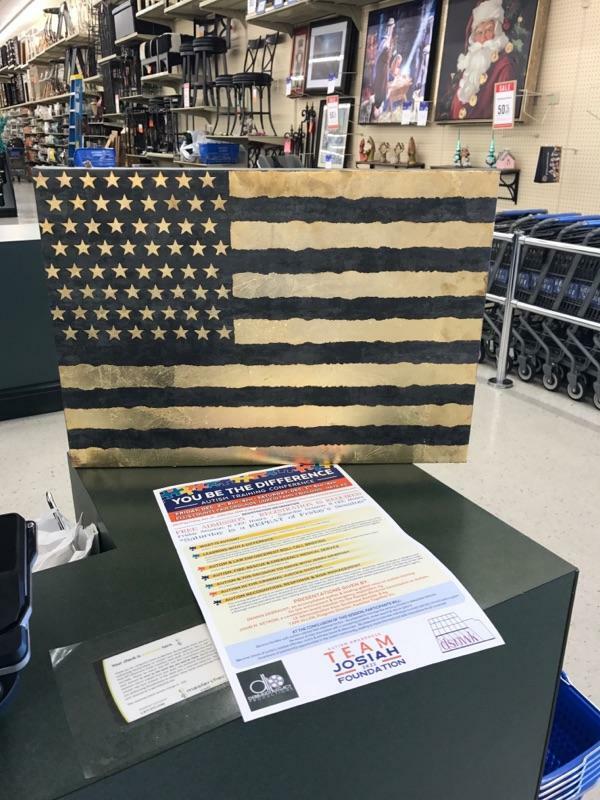 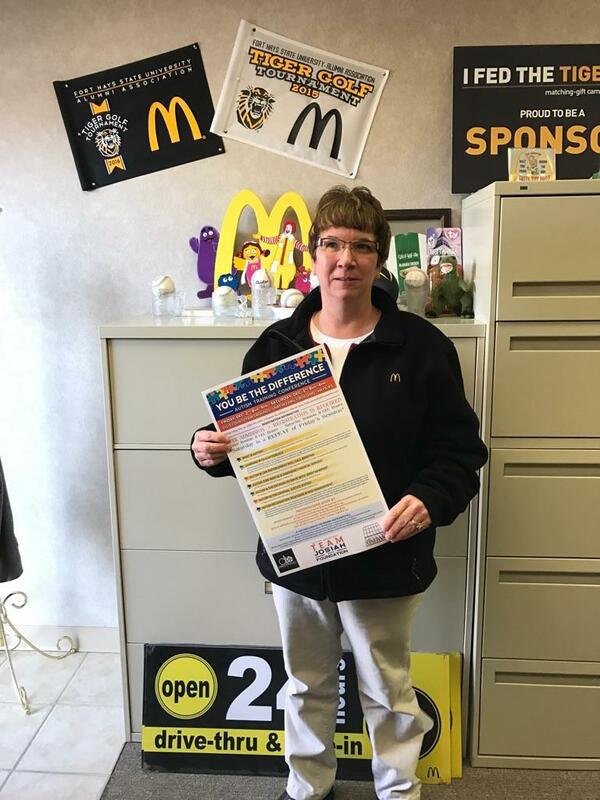 10% of each customers total that presented the Team Josiah $weet$hop coupon during checkout were donated to the foundation to focus on the support and providing services to individuals(families) on the ASD Spectrum in NW Kansas. 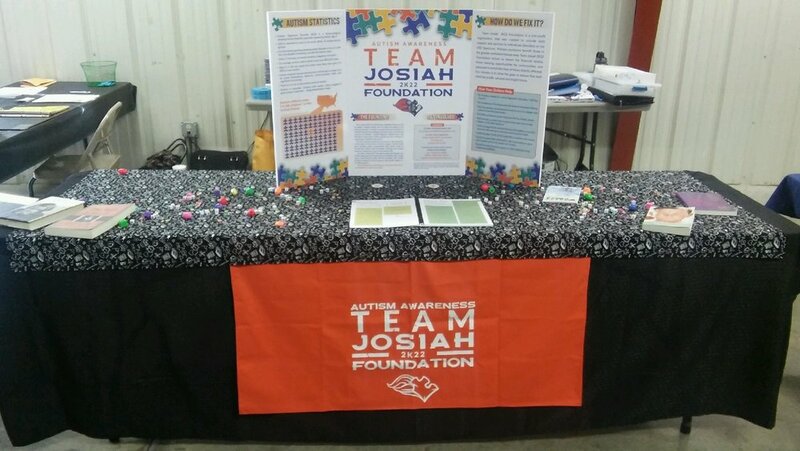 A free autism training conference took place on December 2nd and 3rd. 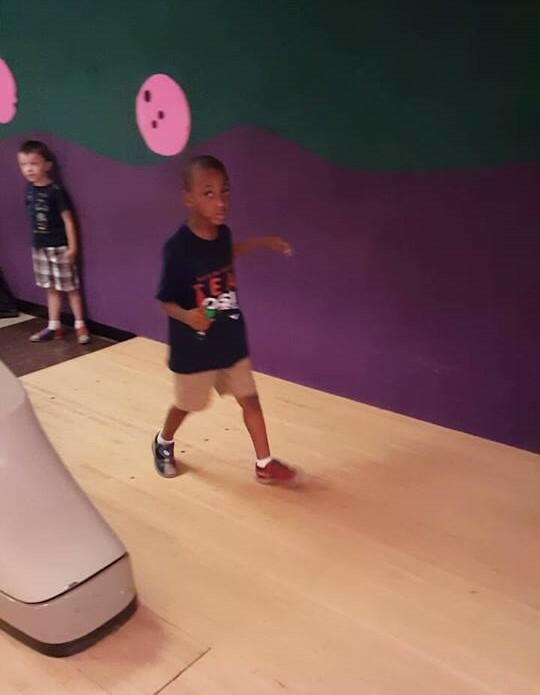 “You Be the Difference” Autism Training Conference focused on explaining autism and the unique challenges children and their families go through that affect everything from learning and behavior to interactions with others. 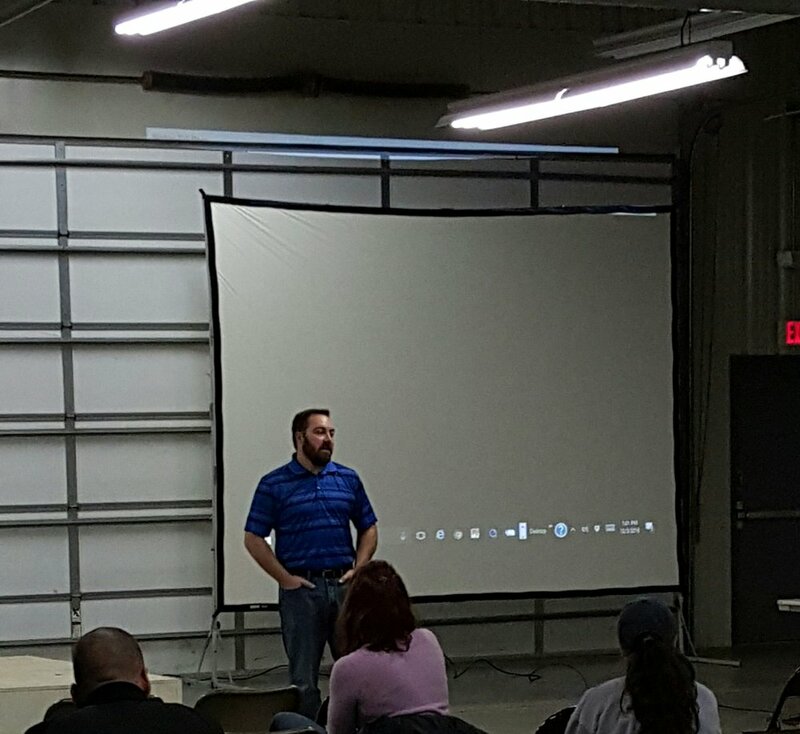 In conclusion to the conference this weekend environmental and learning barriers; promoting successful encounters between people with autism and law enforcement, fire rescue, paramedics and emergency professionals; learning about autism in the criminal justice system as it relates to judges, prosecutors, public defenders and juvenile justice professionals; and training on autism recognition and response were discussed. 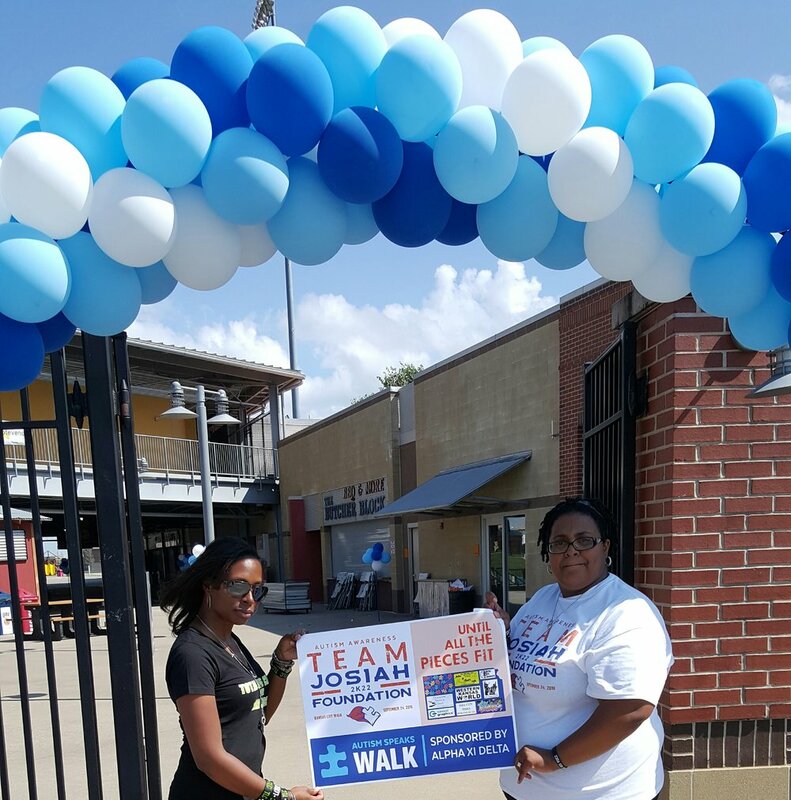 Presentations were given by John M. Ketron, board member for the Kansas Governor’s Commission on Autism, LE Administration from Southwest Kansas; and Tami Allen, program director, Families Together Inc.
Law enforcement, first responders, parents, teachers and family members were in attendance both days. 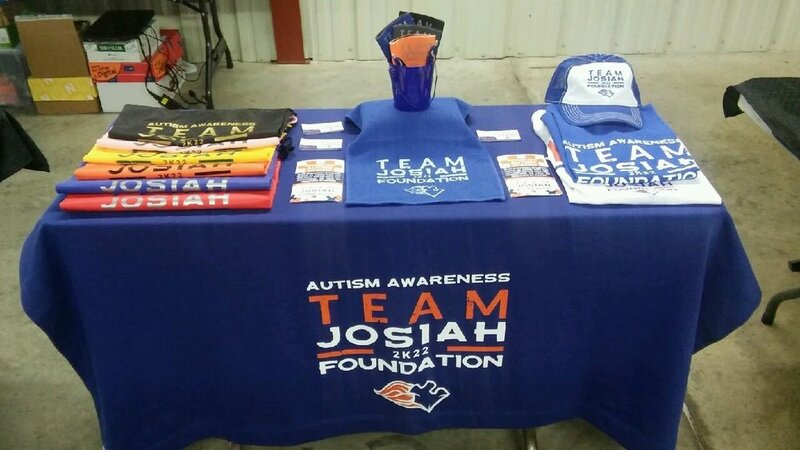 Sponsors of the conference are Team Josiah 2K22 Foundation and Developmental Services of Northwest Kansas which assisted sponsorship funds through private donations from community members in the service area.